This installment of Star Log.EM includes: 1,000 words detailing an all-new legacy prestige class-turned-Starfinder RPG archetype, the stalwart defender! This lightweight, flexible archetype also includes a new subset of stalwart powers, as well as three new combat feats for defending allies and for fighting to the death like a true diehard. 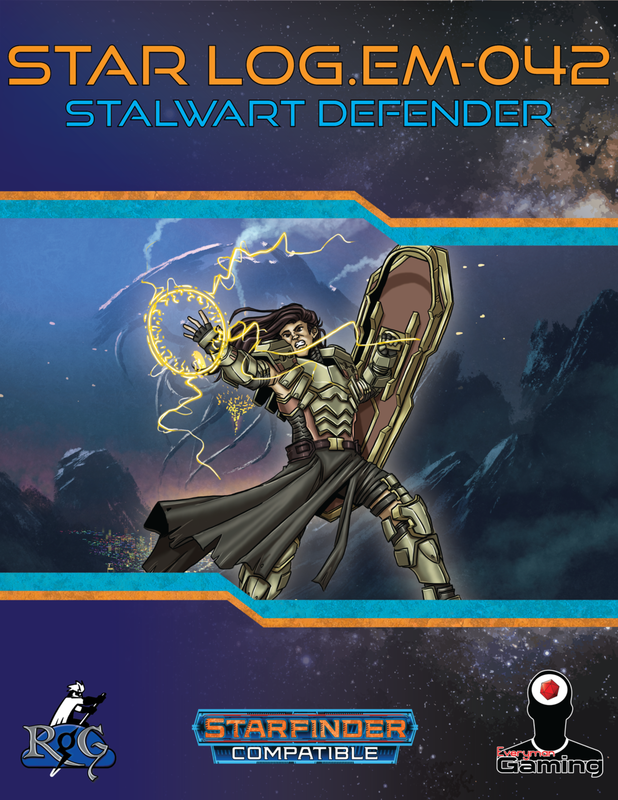 Also included is a bit of information detailing how stalwart defenders operate in Rogue Genius Games’s Blood Space campaign setting!